As the Main Event continues to roll forward at the Rio on Friday, plenty of other poker continues including the second day of play in Event #66: $1,500 No-Limit Hold'em where John Pannucci returns as chip leader. Also coming back in that one are Kenny Hallaert, Matt Glantz, and Victor Ramdin. Another "postlim," Event #67: $1,500 Pot-Limit Omaha Bounty, also kicks off today. Meanwhile in the $10,000 No-Limit Hold'em MAIN EVENT, Shawn Daniels led the field after Thursday's Day 2ab with a massive Day 2c field scheduled to come back today. Among those making it through yesterday to Saturday's Day 3 were Main Event champions Chris Ferguson, Johnny Chan, Scotty Nguyen, and Greg Merson. A total of 2,460 players returned for yesterday's 2ab with only about 1,235 advancing to Day 3. Shawn Daniels ended the night atop the counts after bagging 532,500. Daniels has amassed $470,531 in live tournament winnings including a 72nd-place Main Event finish in the 2017 for $101,444. Behind Daniels are Eric Liebeler (531,000), Samuel Bernabeu (524,000), Michael Dyer (502,400), and Casey McCarrel (501,800). 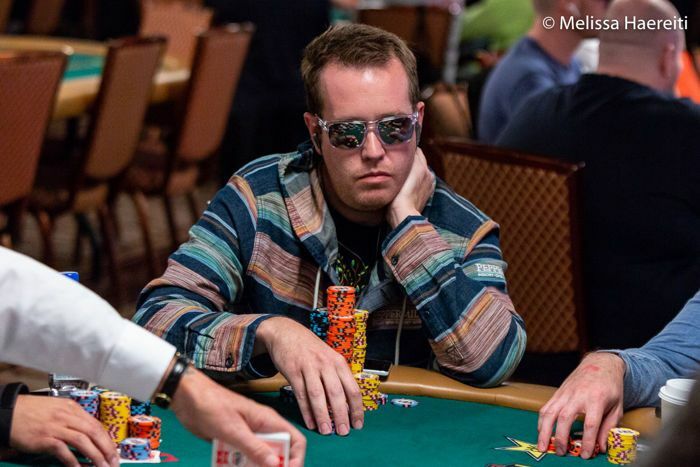 Other notables making Day 3 include Brian Altman (476,500), Kelly Minkin (380,800), Christopher Kruk (370,500), Ben Yu (311,000), Chris Hunichen (307,100), and Eric Hicks (300,000). As noted also, four Main Event champions survived yesterday to return to play Day 4: Chris Ferguson (160,000), Johnny Chan (107,200), Scotty Nguyen (74,300), and Greg Merson (68,300). Some of those who hit the rail yesterday included two-time ME final tablist Antoine Saout, Erik Seidel, Tony Dunst, Gaelle Baumann, and Jeremy Ausmus. 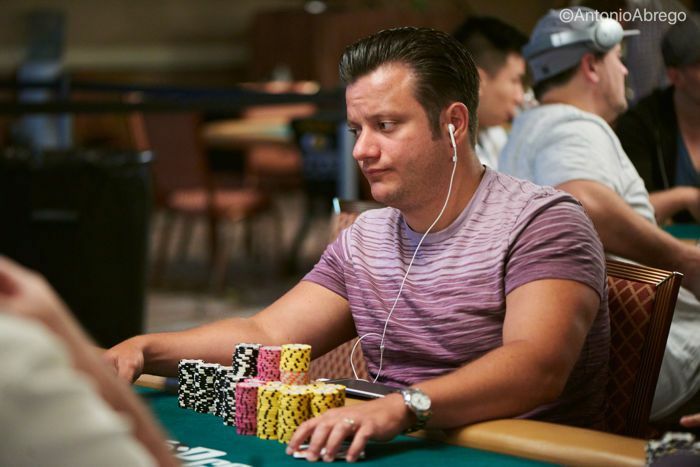 WSOP ME champs Joe Hachem and Ryan Riess also busted yesterday, as did last year's fourth-place finisher John Hesp. Friday brings Day 2c with 3,480 players returning to vie for Saturday's combined Day 3. 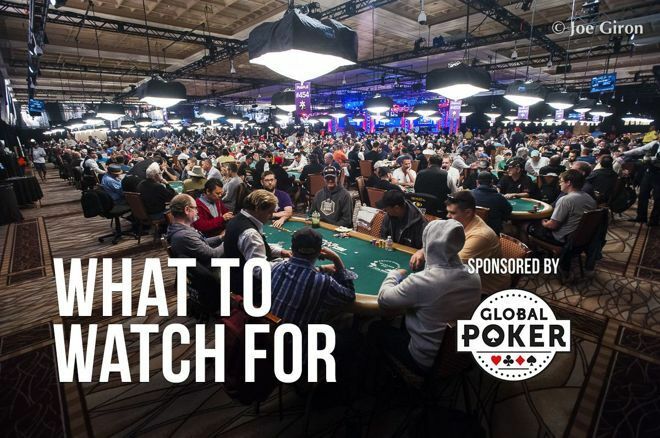 Check back to PokerNews starting at 11 a.m. for continued coverage of the Main Event. There were 1,351 entries for this side event yesterday, from which only 227 remain for Day 2. John Pannucci bagged the biggest stack with 235,400. Pannucci has only $33,797 in live tournament earnings, and will be looking for the biggest score of his career if he can keep his big run going. With a prize pool of $1,823,850, the winner will take home a top prize of $323,472. Rounding out the top five are Akin Tuna (169,900), 2016 November Niner Kenny Hallaert (155,400), Kfir Nahum (151,400), and Chen Yu Hung (135,900). Other notables returning include Mark Radoja (54,000), Mikhail Semin (51,500), Matt Glantz (41,300), Victor Ramdin (23,500), Jimmy Guerrero (23,300), Richard Dubini (22,400), Gaelle Baumann (14,900), and Dutch Boyd (11,800). Play resumes on Friday at 2 p.m. and PokerNews will be there. Click here to follow along with the live updates. The WSOP offers another chance for PLO players today with an event that should make for a nice way to head into the weekend. This tournament gets underway at 3 p.m. and players begin with 7,500 starting chips. Levels last 60 minutes with late registration available for six levels. As a bounty tournament, players will receive $500 from the prize pool for every player they eliminate. This is a new event to the schedule and plenty of bounty hunters will be out in force. Stay with PokerNews today for updates from this event as well.